The block will measure approx 6″ but will need to be trimmed to 5.5″ to make a plump pincushion. 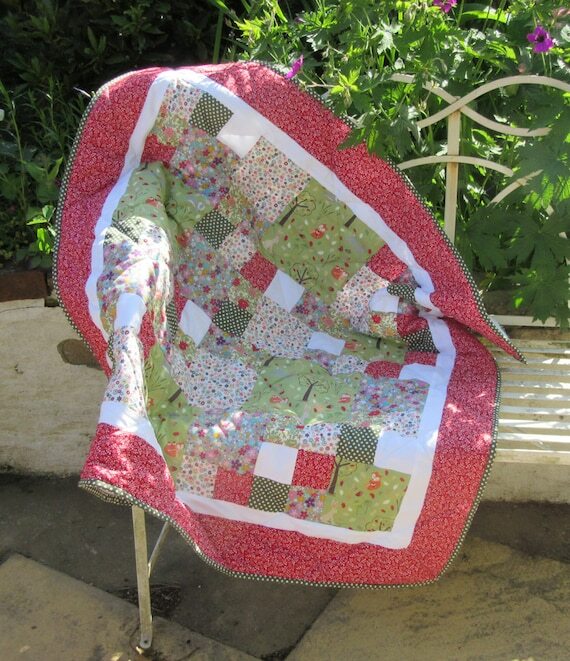 Place your patchwork block right sides together on top of the backing square. The backing square may be slightly larger than your patchwork but this will make it easier when you hand-stitch the opening in the next stage. Ta – dah – you’ve made a sweet patchwork pincushion!